There is some discussion of why bike lanes are going in on 6th street. The short answer is that in order to build out a community wide bicycle network; they need to. The purpose of this post is inform the public with facts. It is in no way to suggest that this engineering decision is going to change. It is not, this is the implementation of an approved long range plan. Based on some questions and my discussion with staff here is some relevant information? Feel free to shoot the messenger, but I am simply trying to answer the “why.” I do not accept that politicians should attempt to overrule professional engineers on matters of public safety. Will I meet with the neighborhood? Yes, always have, always will. If possible I will arrange for key staff to join me. I also have responded to all the personal messages I received on this topic. Some people are understanding, accepting, supportive, others hate this. I just want to bring the facts to the table. In creating the Rochester Bicycle Masterplan all city streets and routes were considered. Based on engineering analysis and public feedback 6th street was identified as a needed route. This was discussed with the Folwell Neighborhood Association in 2011. The greatest fear the neighborhood had at that time was that the number of driving lanes would be increased on 6th street. That will not happen. The route is supported by both the city engineer, planning, and city traffic engineer. Currently the only other safe crossings of US 52 are at Cascade Creek (1 mile to the North) and the South Zumbro Trail (1 mile to the south). Here is an (admittedly blurry) image of the enormous are for which 6th street SW between Highway 52 and 10th Ave SW represents the only safe, direct, complete route to downtown. Professional engineers and planners both in the creation of the bicycle masterplan and the consideration of this project. Can we have parking in the bike lanes at “off peak” times? No, speaking directly to the point; Minnesota State law explicitly prohibits this. Can we park in other areas? Yes, there are just under 30 homes in the entire key stretch between Highway 52 and 10th avenue which are not immediately adjacent to an avenue. They all have on site parking. Additionally all homes along the stretch all have access to neighborhood parking permits. Why can’t we park in front of our home? The streets of Rochester are owned by the entire public, there are thousands of homes where you can not park in front of your house, my home is also one of these homes. In particular, major roadways (arterials like 6th street) are increasing likely to not allow parking. Even without bike lanes parking would probably be removed from 6th street as a result of public safety requests. For a number of reasons 2nd street will not have bike facilities between 16th Avenue and 11th Avenue. The traffic on 2nd street is likely to be 4 times what it will be on 6th street. The City Loop will run from East of St. Marys to downtown. Center Street will have bike lanes from 16th Ave West all the way through downtown out to the Olmsted Medical Center Campus on the East side. How many cyclists will use this route? I honestly have no idea, we will see. Just as we don’t build a bridge based on the number of people swimming across a river, we can’t speculate on the number of cyclists that will use this route based on what is there today. My primary goal is to ensure those who do bike are as safe as possible. I do support gathering data and revisiting decision over time. What we can say is that this is a direct route which connects thousands of potential users to downtown. 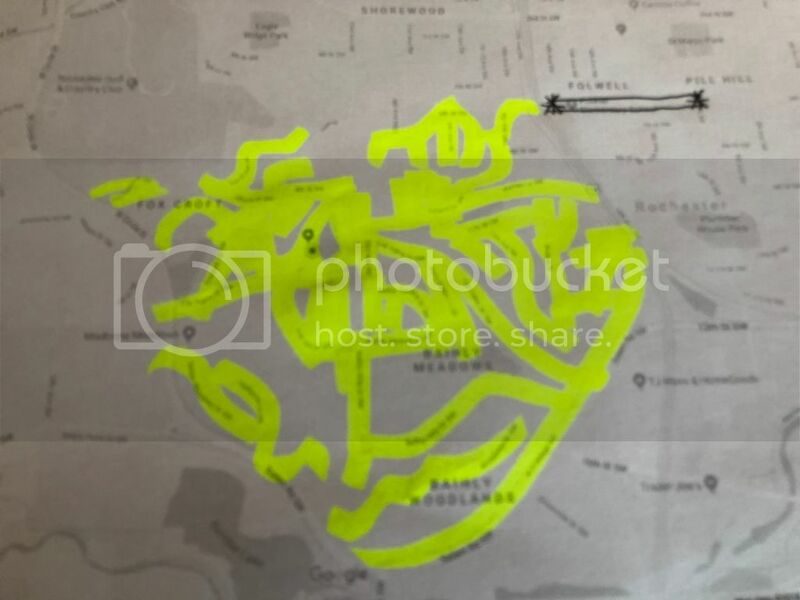 What will this route connect? This route connects a number of neighborhoods to the west to bike routes on 4th. In downtown 6th street will eventually (for cyclists) continue across the Zumbro to Slatterly Park, at 3rd or 4th avenue it will connect to a major North / South Bikeway, and along 6th street it may be part of the proposed City Loop. Feel free to post additional questions and I will try to get to them. I know I’m preaching to the choir. But as someone who got hit riding bike to work at St. Mary’s in 2016 thank you for your tireless advocacy for bike lanes and other methods of transportation other than cars. I just hope the bike lanes are well done… Not like the bike lanes on 41st St. I cringe every time I hear someone happily say that Rochester has 85 miles of trails…why are more needed. I know connectivity pre city loop/ broadway update is lacking.